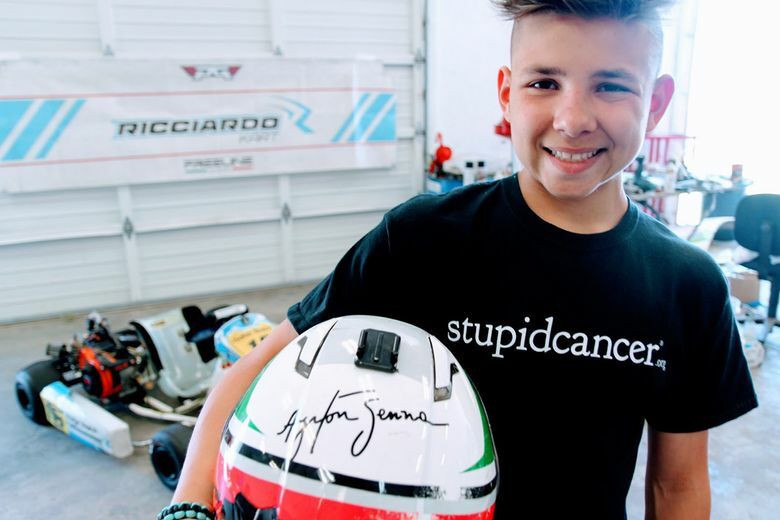 Gabe Tesch, 15, was diagnosed with anaplastic astrocytoma, a brain tumor, when he was 11. Now he’s a winning go-cart racer. Gabe knows what it takes to win a car race: he has to have a powerful car, and he has to drive it with forethought and precision. He’s a race winner, after all. He knows that this combination of power and precision also helped him defeat cancer, after he was diagnosed with anaplastic astrocytoma, a brain tumor, when he was 11. While brain tumors are rarely diagnosed in children, they are the most common form of solid tumors found in those younger than 15. All together they represent 20 percent of childhood cancers. When a brain tumor is found, treatment may include surgery, chemotherapy and/or radiation. Although survival is job one, it is important to consider the treatment’s long-term side effects. Radiation can, for example, damage healthy tissue and contribute to the development of different forms of cancer later in life. It’s important that the medical team weigh a treatment’s side effects and potential harm with its benefits. Children with brain tumors often are treated with radiation, either with standard (X-ray) radiation or proton therapy. Both types attack tumors by preventing cancer cells from dividing and growing. With proton radiation therapy, the width and depth of the beam can be targeted more precisely to ensure maximum exposure to the tumor with minimal damage to healthy tissue. This is important for multiple reasons. First, less radiation exposure means the child is less likely to develop a new cancer later in life. It also means that doctors are more likely to be able to protect other sensitive parts of the brain – parts that, if damaged, could lead to vision impairment, hearing loss or other complications. 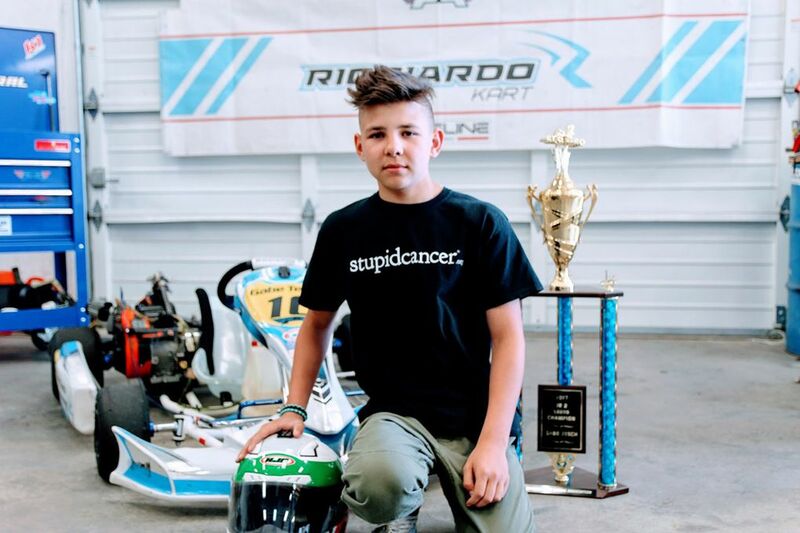 Gabe, now 15, races go-carts in his hometown of Spokane and recently set the record for the all-time fastest lap in his class. Gabe Tesch recently set a new record in his race class. With results like this it’s not a surprise that proton therapy has become the preferred treatment option for many children with brain tumors. And, in the Pacific Northwest we are lucky enough to have access to one of the only proton therapy centers in the western part of the United States. SCCA Proton Therapy Center uses precisely targeted radiation to treat cancer while preserving surrounding healthy tissue and reducing the potential for side effects. Protons are beneficial in treating patients with a broad range of tumors, including brain, breast, lung and prostate.